Thanks, Lindsay. It’s great to read about what routine works for you. I like the four hour concept. And I love ‘When Blue met egg’. So true that if we’re waiting around for the perfect moment to start writing or creating, it becomes difficult to see that moment through all the chaos and excuses–so why not just declare THIS MOMENT as the moment? Last year, I was having a difficult time writing (or liking what I was writing). 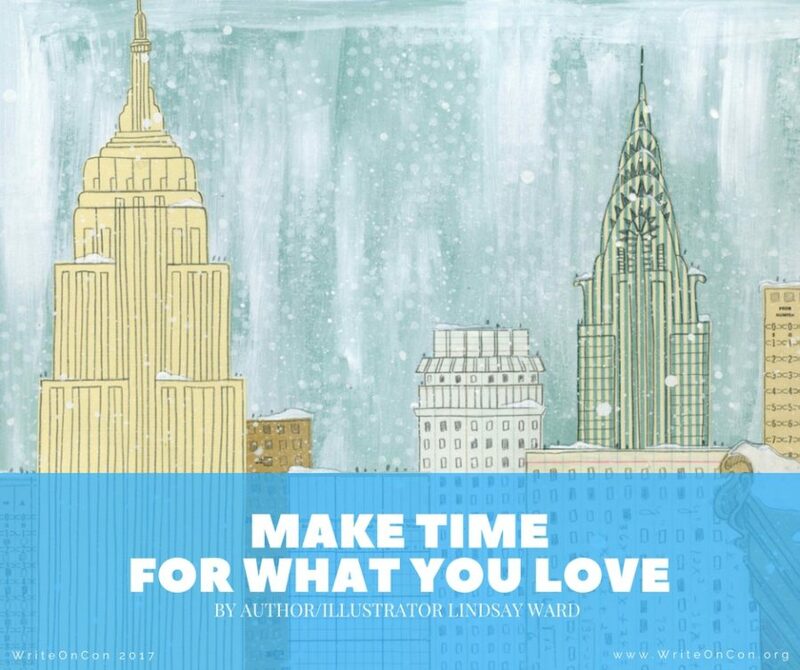 So I finally decided, “okay, so writing is a bust right now–maybe this is my moment to reconnect with my art.” And I dove into exploring new techniques and tools for digital art; it led to me taking up the Illustrator Coordinator position for my local SCBWI region, and connecting with a lot of other arts. Now our conversations about art have spurred more creativity in me, in both writing and art. It really helped me get back on track to where I want to be! I have a similar schedule (and a one-year-old, too), but I like the idea of dedicating a solid our to new writing every day. I spend most of my morning revising and tinkling with old projects. I think I’ll try and do some fresh writing daily, too. Thanks for sharing your advice. Five a.m. has worked well for me in the past as well. I just need to get back on that schedule again, even if my kids interrupt by waking up a few minutes later…it’s a juggle, for sure!